When you have children of various ages and genders, keeping clothing separate is fairly easy. For instance, it’s not really a problem to tell the difference between size large shorts and size small shorts, especially if one pair is for a girl and the other is for a boy. However, when you have the blessing of parenting twins or triplets, keeping clothes separate can be challenging. Fortunately, our clothing labels make it much easier to keep your children’s clothes separate. Our selection of labels comes in various styles to make the labeling process fast and easy. Snap-on tags — these labels are super-easy to use. Just snap the label right onto the existing care tag in each item of clothing. The label will clearly state the name of the child who owns the clothing — and ease your frustration. Stick-on labels — like the snap-on tags, these labels stick on to the care tags in clothing. In just a few seconds, you can have a clear label on every item of clothing you have for your multiples. 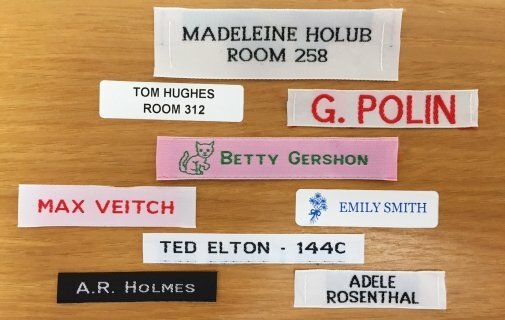 Iron-on labels — these take a little bit more time to attach to clothing, but they are great if you don’t have a care label to attach to. You can iron on the appropriate label out of sight and out of mind — except when you are sorting the next load of laundry. Then, it will be there when you need it. Sew-on labels — our selection of sew-on labels are attached by sewing, so they also require more initial effort. But you can make these labels as personal and beautiful as you want. Plus, you don’t have to worry about the label becoming loose. 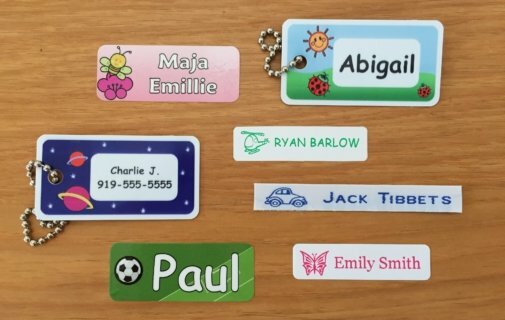 Contact us today at It’s Mine Labels to learn more about how our labels can make it much easier to keep your children’s clothing separate, especially if you are the proud parent of multiples!